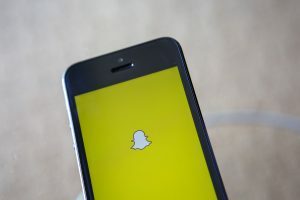 Snapchat, the popular social network that allows users to share video clips and photos in temporary timelines, has come under fire for a feature that critics are calling racist, and it’s not the first time. The app unveiled a filter that let users distort their faces in a manner that the company said was meant to convey the appearance of Japanese anime characters, but instead was seen as promoting stereotypes of Asians and “yellowface.” A swift, online backlash prompted Snapchat to remove the filter. The current Snapchat filter backlash comes four months after the company removed a controversial Bob Marley filter. The feature debuted on April 20, a day known as an informal holiday celebrating marijuana, which has no official connection to the Jamaican reggae legend. Outraged users chided the social network for promoting blackface and reducing the world-renowned musician to a weed-smoking stereotype. Hatch says filters like the ones that (questionably) depict Bob Marley and Japanese anime, as well as ones that make users appear more white, show a lack of awareness by Snapchat as to how such imagery has historical context. She says these depictions have been used to dehumanize minority communities for centuries and continues today. 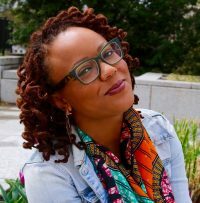 When contacted, Snapchat did not return emailed requests for an interview or statement on on how it plans to address issues of race and representation. They have also declined multiple requests from media and advocacy groups to release details on the demographic makeup of its more than 300 employees. Hatch says being consistently tone deaf on race can’t be blamed on innocent, playful intentions. Tech companies are grappling with widespread criticism for lack of diversity. According to the U.S. Equal Opportunity Employment Commission, less than 10 percent of Silicon Valley staff are African-American or Hispanic. And social media networks are facing mounting backlash for hands-off approaches to racism toward high-profile users. Most recently, comedian Leslie Jones and Fifth Harmony singer Normani Kordei announced social media hiatuses over harassment from trolls geared toward their race and gender. Latinos and blacks “use social media networks about equally” as whites, according to Pew Research Center. And with two recent controversies over racially insensitive filters, Hatch says Snapchat, like other networks, may begin to feel the effects where it will hurt them most: engagement and revenue.